Invented in Canada in 1963 by Sam Jacks, a recreation director from North Bay, Ontario, ringette quickly became known as one of the fastest games on ice! Ringette was the answer for many girls who were looking for a fun winter sport at a time when ice hockey was not as popular for females. Since the early 1960s, the sport has continued to grow and currently boasts over 30,000 registered players on nearly 2000 teams, with over 8000 coaches and over 1500 officials. Ringette, like hockey, is played on ice with skates and sticks, and six players per team on the ice at once. The objective is to score goals by shooting a ring into the opposing team’s net at either end of the rink. Unlike hockey however, the stick is straight without a blade, and as mentioned above, a round rubber ring with a hole at its center is used instead of a puck There is no intentional body contact. There are no face-offs; instead teams are awarded ring possession. Games are stop time and a 30-second shot clock (introduced in 2000) contributes to the game’s reputation as the fastest on ice! 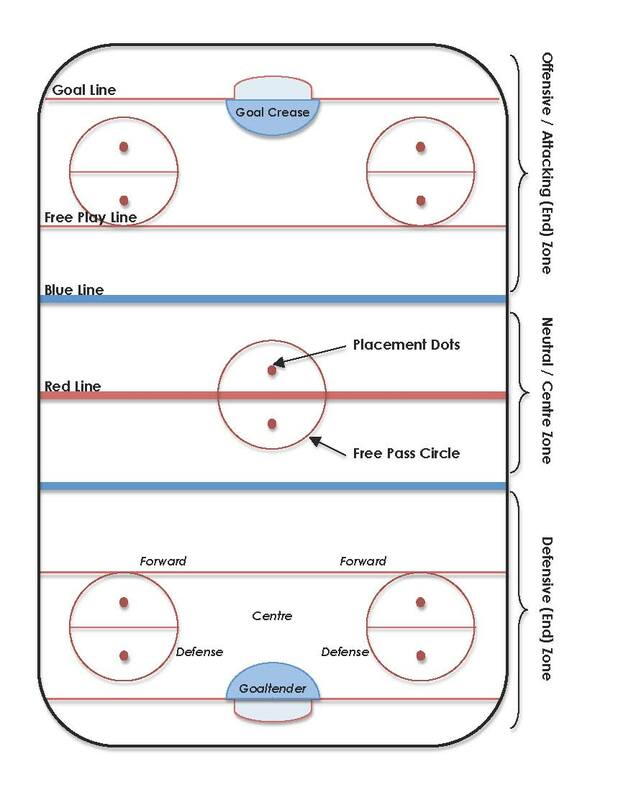 One of the rules of ringette prevents players from carrying the ring across the blue lines. Because of this rule, they must pass to another teammate. Only three players from each team, plus the defending goalie, are allowed in the end zones at the same time (with exceptions during penalties). The rules of the game have demanded ringette players to develop strong skating skills and have encouraged players to focus on their speed and agility. Internationally, ringette is played in a number of countries around the world, including Finland, Sweden, Canada, the United States, France, Slovakia, Russia, the Czech Republic, and Abu Dhabi. In the United States, ringette saw its prime throughout the 90s, with the World Ringette Championship even being hosted in St. Paul, Minnesota in 1994! Although it has taken a backseat to ice hockey over the last decade, there are currently great efforts being made not only globally, but particularly in the USA to grow and develop the sport in our homeland. With focus on the Border States and the East Coast, strategic growth has been a prominent point of discussion for USA Ringette. Over the next two years the USA should expect increased attention to the sport and more player interest with its unique approach of growing from the top down: that is promoting to older players first, then youth. Since 1990, a World Ringette Championship has been held on a regular basis, with Canada and Finland being the predominant challengers. The United States has traditionally been in close competition with Sweden, but through its growth strategy hopes to become a major contender once again. If you are interested in learning more about ringette or getting involved, please contact us. Team USA and USA Ringette will work with you to provide ‘Come Try Ringette Sessions’ for any age group and work with you to develop a league in your area. Contact us with any interest in attending one of our upcoming sessions, setting up one in your area, or to be placed on our mailing list to stay up to date with USA Ringette. Like us on Facebook (Team USA Ringette)! Below are two videos showing the game of ringette. 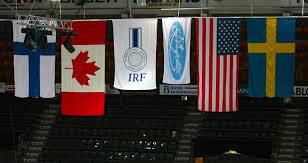 The first clip is from Gold Medal Game at the most recent World Ringette Championship games in Finland (2010). The second is a more humorous take on the sport as reported on a National Canadian Broadcast, The Rick Mercer Report.